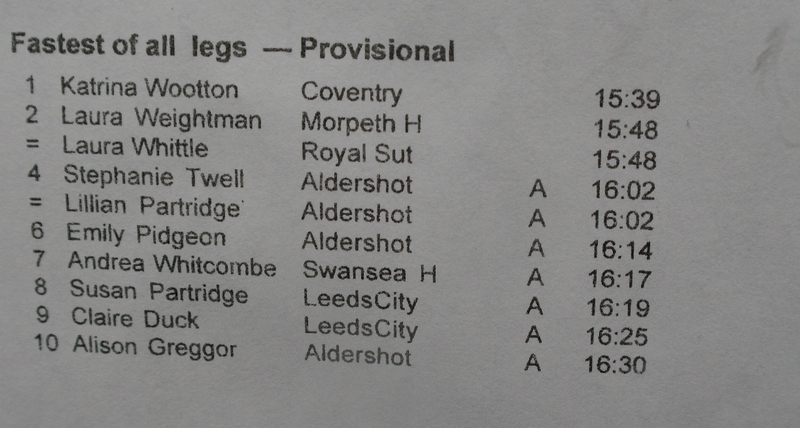 Well done to Laura Whittle who had a fantastic run at the National Road Relays earlier today. Racing against many of the best distance runners in the country she recorded the joint second fastest time of the day. There were lots of other great performances. A full report with results and photos will follow. Great news well done Laura! The beginning if many to come.